Petersham Nurseries020 8940 5230work Garden CentreInternationally prized garden centre, Petersham Nurseries is a tranquil oasis and seedbed of inspiration. They invite you to dine in our glasshouse restaurant, browse plants in our nursery, find antiques and gifts in our shop, or sit, wander and enjoy seasonal food and homemade cakes in our teahouse. 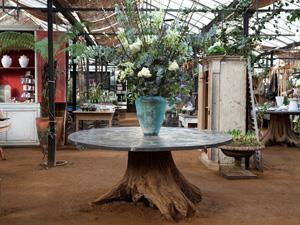 Internationally prized garden centre, Petersham Nurseries is a tranquil oasis and seedbed of inspiration. Petersham Nurseries have created a place of calm, away from the bustle of London, somewhere that respects and is in tune with nature and positive living.